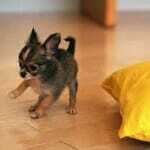 The Chihuahua is an intelligent, playful, and affectionate breed. 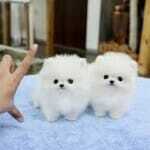 But how do you know whether you are ready to purchase a pet and if this breed is right for you? This information is absolutely necessary in making the decision to purchase a pet. The exact origin of the Chihuahua has not been well documented. Enthusiasts believe that the Chihuahua descended from such breeds as the Chinese Crested and the Techichi and dates back several hundred years based on ancient writings and art work, though this has never been proven scientifically or otherwise. Throughout its history, the Chihuahua has been most commonly used for killing small vermin such as mice, and as a family pet and companion, proving its superior abilities to work while providing both entertainment and devoted companionship. 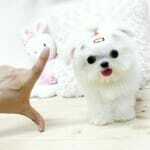 The Chihuahua was recognized by the American Kennel Club in 1904, categorized into the Toy Group. Today, the Chihuahua has attained a world wide popularity as a show dog, family pet, and companion. Best known for its sweet and devoted nature, the Chihuahua is a genuinely happy breed. These dogs thrive on strong and dependable relationships with humans, love to play the role of lap dog and receive attention. 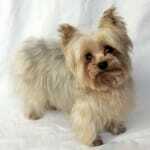 This breed is very intelligent and generally easy to train. 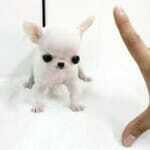 As a pet, the Chihuahua is obedient, loyal, loving, and very affectionate. The Chihuahua adapts well to full-time indoor and apartment living, yet still enjoys spending time outdoors and taking long and leisurely walks. Due to its need for human attention and eagerness to please and impress its owner, the Chihuahua generally responds well to basic training and commands. This bright breed has the ability to learn to perform most any task its trainer is willing to take the time to teach. Many owners have successfully trained their Chihuahua to use a litter box, thus eliminating the use of puppy pads or the need to make trips outdoors several times daily. Establishing immediate trust and respect is key to successfully training the Chihuahua. These dogs can be somewhat sensitive to criticism and respond best to positive reinforcement and reward-based training. There are many benefits to owning a Chihuahua, such as its no hassle, low maintenance coat. This playful and lively breed is always on the go, and often very amusing and entertaining to watch while at play. These dogs are very intelligent, obedient by nature, easy to train, and capable of learning to perform many impressive tricks and tasks. When properly socialized from a young age, the Chihuahua gets along well with children and other pets, known for its sweet and gentle approach to small children and its ability to make friends quickly with other animals. This breed adapts well to full-time indoor and apartment living. 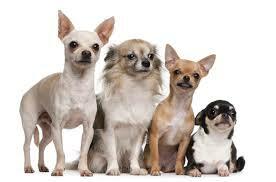 The Chihuahua is obedient, loyal, loving, and affectionate, making an excellent family pet and companion alike. Unfortunately, there are also disadvantages to owning a Chihuahua. Like many companion breeds, these dogs are known to suffer from separation anxiety. Individuals wishing to purchase this breed who travel frequently, have full-time work, or are away from the home on a daily basis are advised to begin researching another breed. During an attack of separation anxiety, the Chihuahua will act out of nervous destruction and may destroy property, chew, dig, bark, whine, and ignore basic training such as housebreaking. 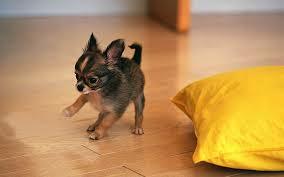 The Chihuahua is known for being somewhat excitable when greeting humans and while at play. 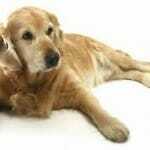 Excessive barking and jumping can often lead to headaches and accidents. Proper training can reduce these behaviors in the Chihuahua. While the Chihuahua is typically known as a healthy breed, they do suffer from a few health problems, including: likeliness to injure joints, epilepsy, hydrocephalus – a condition causing fluid build up on the brain, hypoglycemia, molera – soft spot on the skull, difficulty in birthing – sometimes resulting in caesarian section, sensitivity to extreme heat and cold, and various dental issues. Now that you know all about the breed, do you think you are ready to own a Chihuahua? Remember, purchasing a pet is a big decision and should be discussed thoroughly and seriously with your entire family.